Today’s DIY is easy but pretty time consuming. I recommend this as a weekend project, or week long project if you work full time or go to school full time. 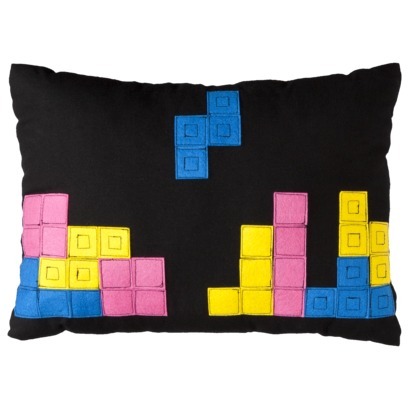 Without further ado, I give you the Tetris pillow cover! Some of you may remember me mentioning this pillow last week. I was so ecstatic that Target was carrying it. One thing I wasn’t very ecstatic about were the colors. So I decided to create a pillow cover that had better colors and that I could match to my pre-existing decor. 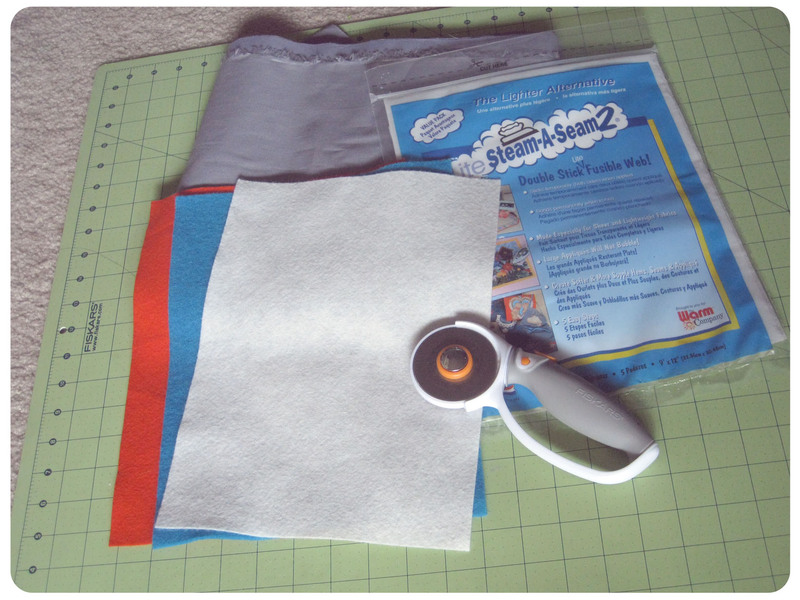 First of all, I recommend you check out this tutorial on how to make envelope pillow covers. These are my favorite type of pillow covers because they’re easy and don’t require a fastener of any kind. 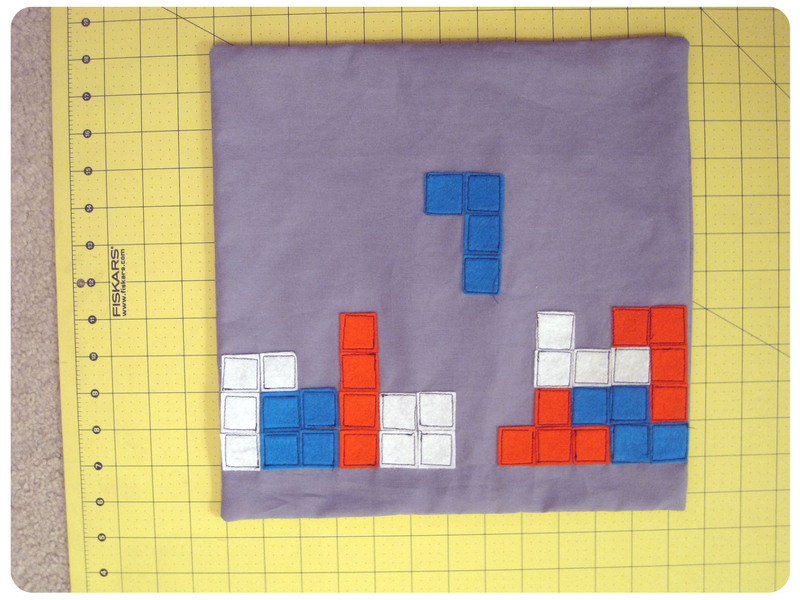 Once you have your main pillow sections cut out, it’s time to move on to the Tetris blocks. 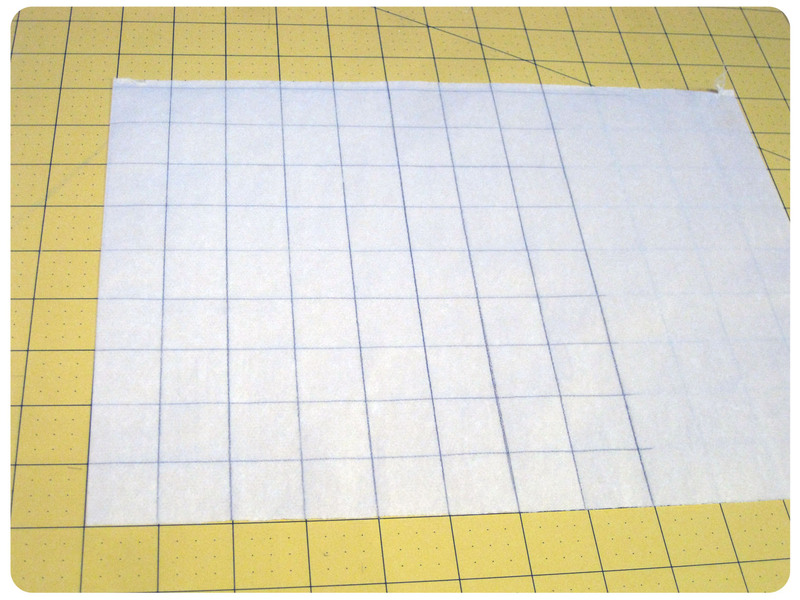 I determined that the best size for this project would be 1″ squares. 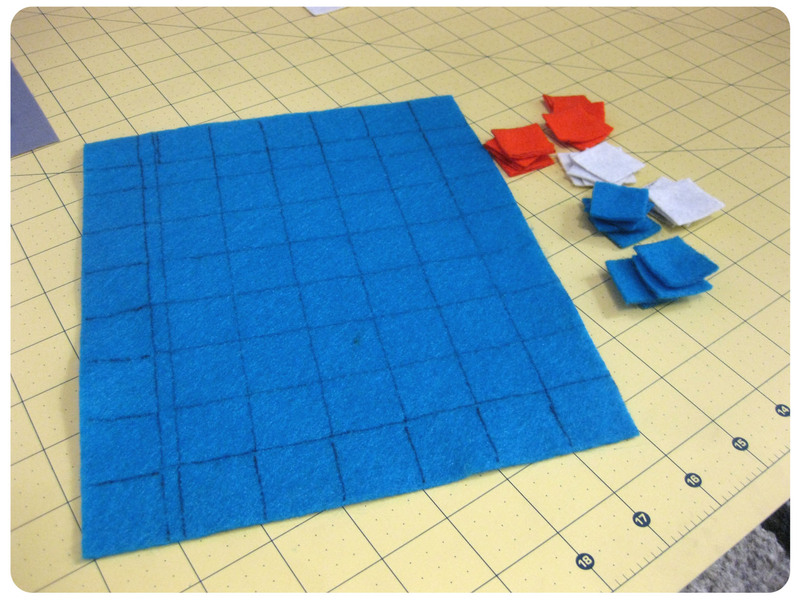 After determining the size, I measured out the pieces on the back side of the felt I would be using. You should end up with a grid. I found that I only needed about two columns worth of squares (four for two pillows). 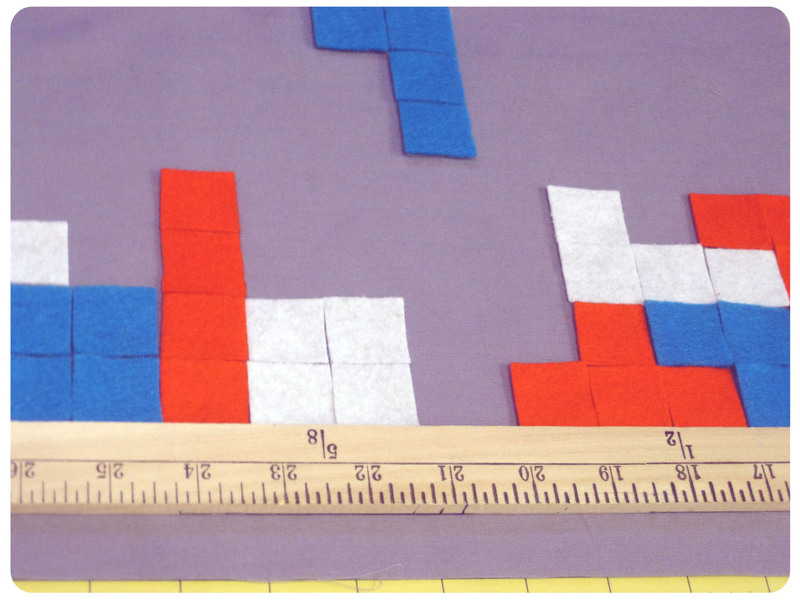 After all the squares were cut out, I played around with the placement of the Tetris pieces. 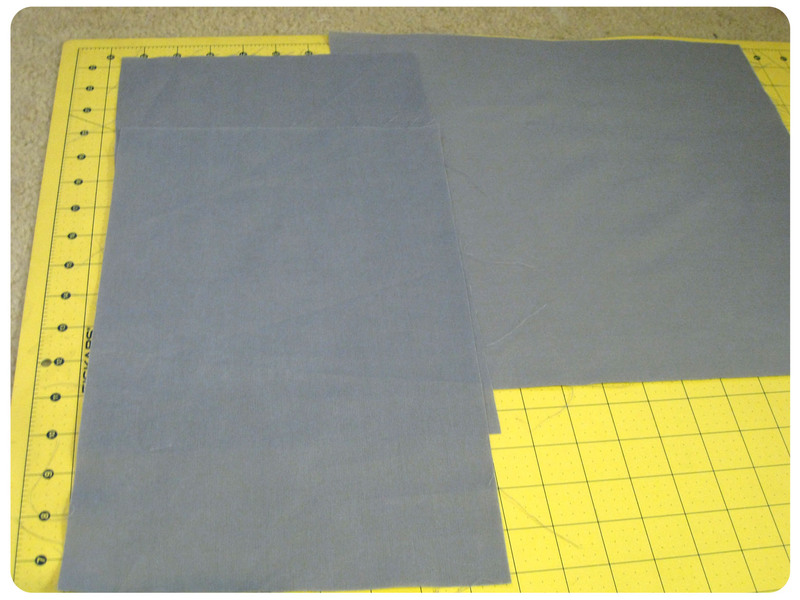 Once I was happy with the design, I moved on to cutting out the Steam-a-Seam. 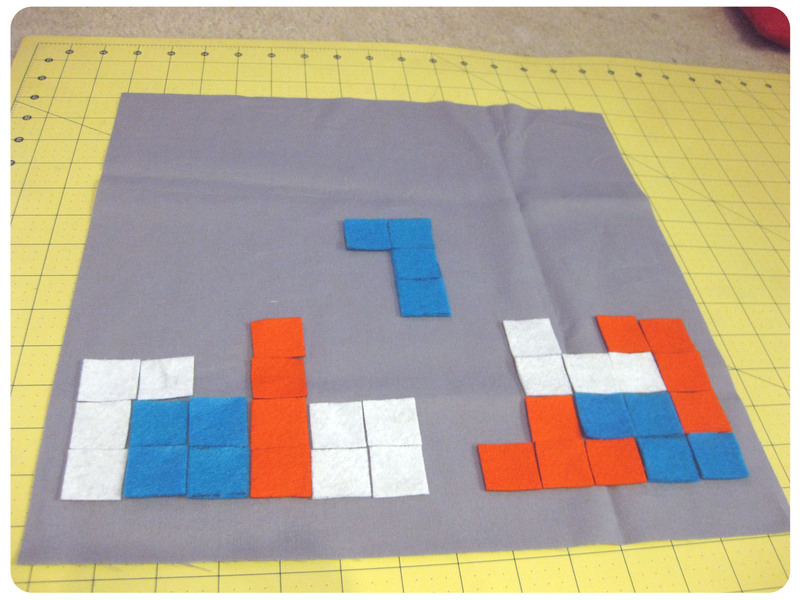 I created a similar gird pattern on the Steam-a-Seam as I did for the Tetris squares. 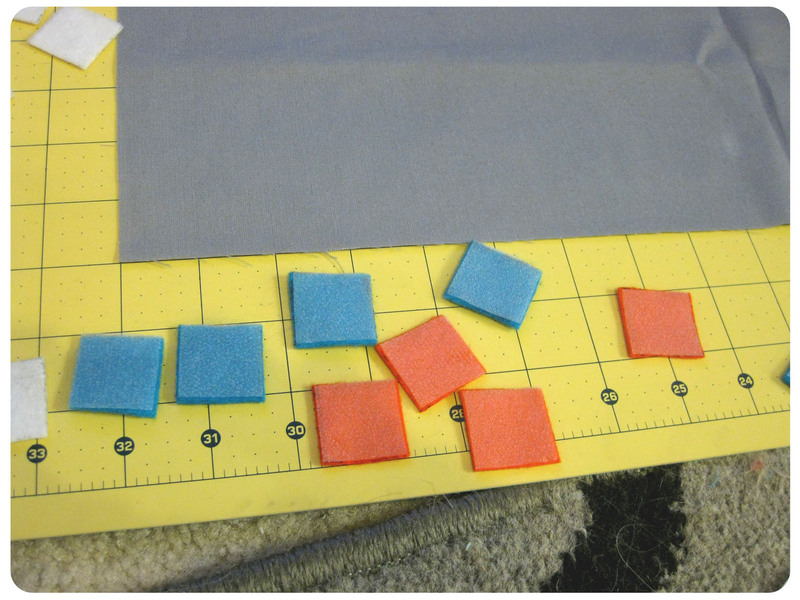 After they were cut out, I peeled off the paper one side and stuck it to the back of the felt. I then peeled off the other paper piece. 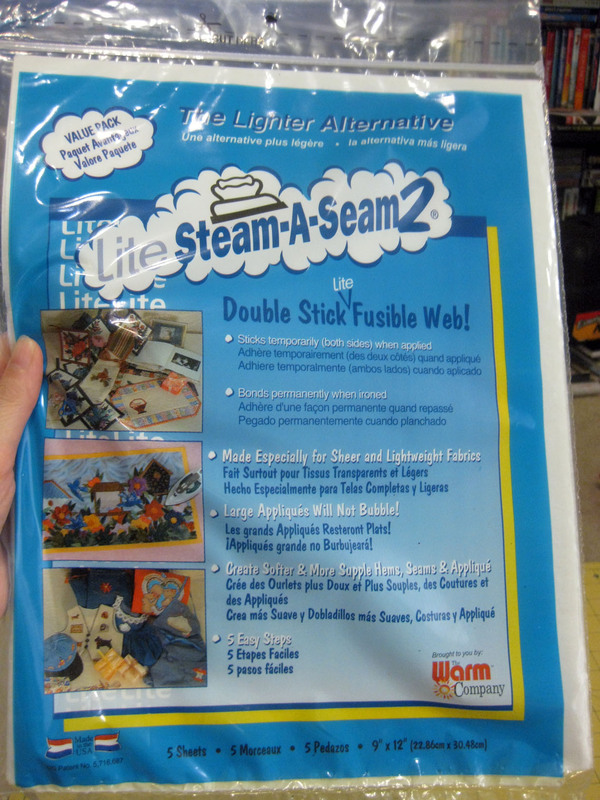 The benefit to using the Steam-a-Seam is that it creates a temporary adhesive, so you can make sure your placement is exactly how you want it. Once you iron it, the placement becomes permanent. 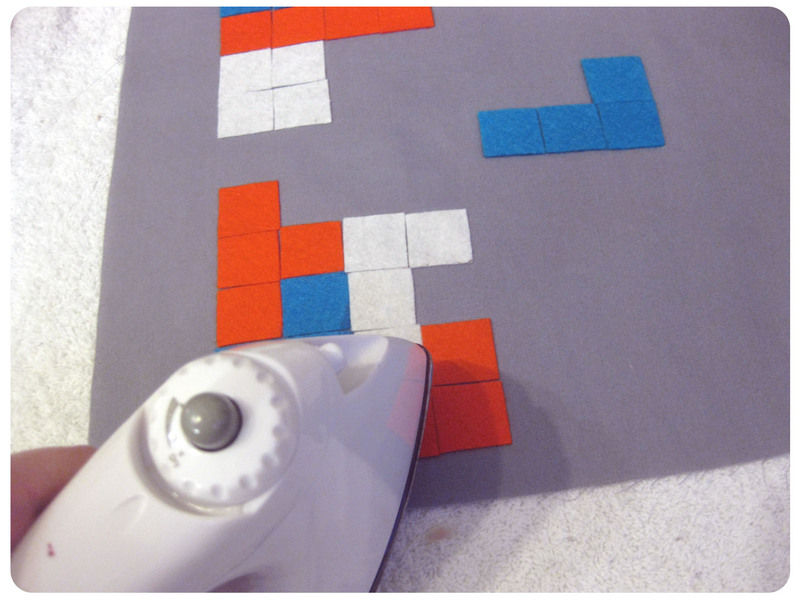 Now you could easily just iron the pieces on and sew the pillow together and be finished with the project. However, I really liked the look of the Target pillow and how they sewed black thread onto the blocks, so I decided to do the same. What I think is interesting about this step is it doesn’t have to be perfect. Somehow the imperfectness of the sewing gives the design lots of character. I opted not to do the inside smaller squares for this pillow, but may go back and add it. And the final product! What do you think? I’m pretty happy with how it turned out and think it adds just the right amount of geek with out being in your face. 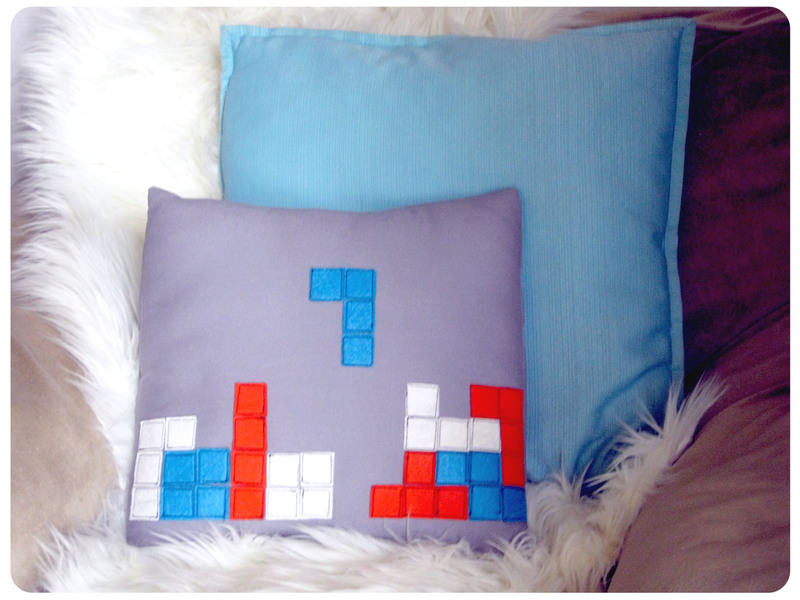 Have any of you made geeky pillows recently or any other geeky projects? Please share them with us on our Facebook page!